Sundials are fun. 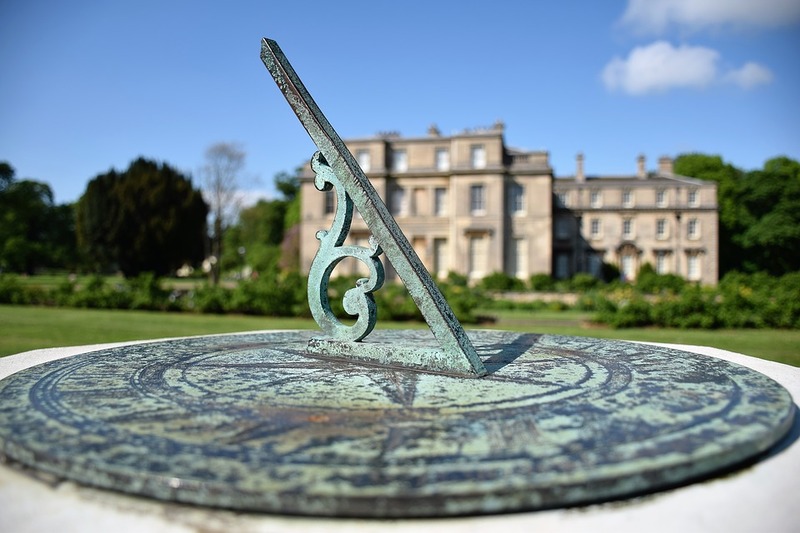 As someone who visited a lot of stately homes as a child (usually under duress), I found sundials in the gardens a welcome distraction from the monotony of trudging round a place with no other redeeming features that adults somehow seemed to find attractive. Not all adults did, I’m sure, but certainly my parents did. First, there’s always the question of whether the sun will be out. And if it isn’t out now, will it be out soon? How long do I wait for the clouds to clear? Then there is the deciphering of the roman numerals on the dial, and the question of whether to adjust an hour for British Summer Time. Then comes the excitement of whether the sundial is actually telling the correct time. The answer was usually ‘no’. Even when a sundial is correctly calibrated for its longitude, there is also the thorny issue of the Equation of Time. It can still be out by as much as 16 minutes, depending on time of year. Sundials at these houses usually came in two forms. There’s the ‘traditional’ pedestal-style sundial, with a metal dial and a triangular piece of metal (the ‘gnomon’) sticking up by which to cast the shadow, and there’s the wall-mounted sundial. 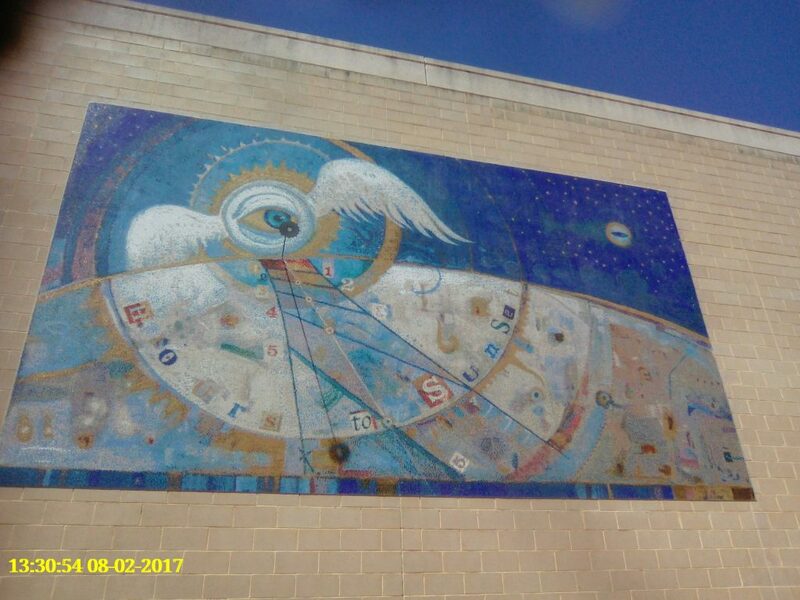 Here’s the wall sundial at UWA. It’s marked out in terms of ‘hours till sunset’, making it pretty useless in terms of telling the time, but a bit more exciting than normal. It’s complemented by a beautiful swan weather vane which, given the usual predictability of the winds, also doubles as a time-piece in summer. Now, here’s an interesting question about wall-mounted sundials. Besides from having to be mounted on south or north facing walls depending on hemisphere, an obvious disadvantage would appear to be that they will only be in sunlight for a maximum of 12 hours a day, even in summer. But that is not actually true. It may seem odd, but it is possible for a wall-facing sundial to have more than twelve hours of sunlight per day. That comes down to the inclination of the earth’s orbit to the equator. I remember this point being inflicted on us with delight from our lecturer in our first year at university. We had a computing project to do (in FORTRAN77 – remember that?) and the task that our sundial-fanatic of a lecturer got us to do was to plot out the markings for a wall-mounted sundial given its latitude (that way everyone got a different task so we couldn’t copy each other’s results). Fortunately he did provide us a nice formula for the angles of the various markings, but programming it was still a bit of a mission. I was very relieved to come out of it with a good result. What I did learn, in addition to some FORTRAN and trigonometry, is that there is more to the sundial than meets the eye.